TSS Photography (formerly known as The Sports Section) has been leading the field in youth sports, school and event photography since the early 80's. We have built a strong reputation in the industry as an organization that consistently delivers top quality service and products to our customers. Parents and children can order treasured keepsakes from our large variety of innovative and exclusive products. In addition to having franchise owners in 44 states throughout the United States, TSS is also located in New Zealand and Australia providing long lasting memories for millions of folks annually. Our headquarters in Atlanta provides the guidance and training for the network while the local owners staffed with members of the community provide the backbone to our guaranteed satisfaction. we have an exciting opportunity waiting for you at TSS Photography. Own and operate a dynamic and profitable business from your home or commercial location. Have the potential to earn an executive-level income. Be an active and respected member of the community! Join the #1 Company in the Nation of its kind. Our franchisees provide a hassle-free photo experience to over 2 million individuals yearly. 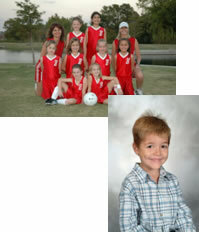 Our own photo lab is committed to providing quality products and services to our franchisees. Franchisor owns photo lab to ensure the highest quality pictures. the Nation's Leader in Youth Sports, School and Event Photography. Click on Request Information button above for FREE information on how to start a TSS Photography franchise today! Please Note: TSS Photography franchises for sale, and other franchise opportunities, business opportunities, businesses and franchises for sale on this web site are not to be considered as an "offering", "franchise offering", suggestion or recommendation by GlobalBX. The franchises, businesses and business brokers seen on this web site submit their own individual content. This advertisement depends entirely on the truthfulness of the information provided by our advertisers which includes, but is not limited to, franchisers, franchises, franchise brokers, franchise consultants, business sellers and business brokers. As always, GlobalBX recommends that you consult a lawyer, financial consultant, accountant or professional advisor before buying a franchise or business opportunity or any type of business. By submitting this form and requesting more information, you have agreed to all terms and policies of GlobalBX and the business and franchise offerings listed here. Please review our Terms & Conditions for more information.